Farewell, Shower Eight. I will miss you. For the last year and half, since my retirement, I’ve been going to the gym in the morning. This means I shower at the gym after my workout six days a week. There are about a dozen showers available but only one stole my heart: Shower Eight. Sadly, my gym is moving to a new location starting Monday and today was my last shower at the current site. Shower Eight has many excellent qualities and I will miss it. The water pressure is just right. The temperature is steady. The handle is firm and does not slip. The drain works perfectly and water doesn’t pool at my feet, an issue because I shave in the shower and tend to be in there for a while. 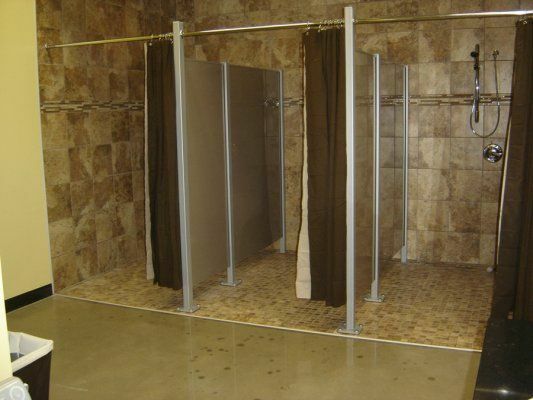 Oh, Shower Eight, I will miss you. Nothing makes me appreciate the glories of Shower Eight more than those few times one of my fellow Wellbridgedonians is using the shower and I am forced to use another. Shower Four with its skin peeling water pressure I do not like you. Shower Six with temperature that goes from freezing cold, to scalding hot, to a pleasant in between without notice and with unfortunate frequency, you do not capture my affection. Shower Twelve has many fine qualities. Good temperature, nice pressure, but your handle is loose and, in my luxuriating, I can sometimes bump into it, thus spinning it forty-five degrees to a temperature that is unsafe for human bathing. It is you, Shower Eight, that I will miss the most. You cannot return my affection, not having a brain and all. It won’t miss me. It doesn’t smile with joy in the morning when I approach in the same way I do when I see it is empty and ready to plunge me into watery delight. Oh, I’m not saying things were perfect. There was that week it sprang a leak on the shower head and sprayed me down with icy water before it had a chance to warm up, but soon enough that was fixed. I admit there was a time or two when the drain wasn’t functioning with its usual alacrity but I blame some of my more ursine companions at the gym for this problem, I don’t blame you, Shower Eight. Once the handle was rather loose but that problem was also quickly resolved. I choose to forget that horrible day when the shampoo dispenser was broken and I was forced to wander, wet and bare, to another stall to scoop up a handful of the necessary substance. Still, there are bumps in all relationships and Shower Eight had fewer than most. I forgive. Oh, Shower Eight, I shall miss you. I have no illusions about the fate of my friend. 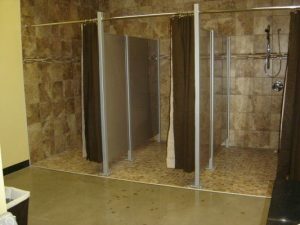 The building is to be torn down, Shower Eight will not be moved in total to the new location. I will have to find a new friend, a new watery companion. I can only hope I find one as good as you. I’m a Libertarian. I vote for all Independent candidates the only exception being elections in which there is a but a single person running. I think it’s vitally important for the future of our country that voters eschew the two-party system and cast their ballot for officials who are not beholden to parties but instead to philosophic ideas and to the realities of the world. That being said I cannot help but watch as my portfolio once again rises and sends my net worth higher and higher. The last time this happened was when President Clinton was in office. The reason I bring this up is because there is a fairly strong connection with business and Republicans. In the eyes of most voters Republicans are “business friendly” while Democrats are not. The reality is somewhere in between but my portfolio pays little attention to anything other than growth. My portfolio doesn’t care about policies, it doesn’t care about regulations, it pays no heed to the D or R before a candidate’s name. It simply reports back in percent growth each year and it is madly in love with President Obama. It wants to kill former President Bush. My brain wants to look at nuances and take into account the myriad of other factors that weigh in on economic growth. My portfolio cares not for such things. It says vote for Obama. Vote for Clinton (Bill). While I was most certainly alive during the Kennedy, Johnson, Nixon, Ford, Carter, and Reagan Presidencies my portfolio was largely yet to be born. It’s alive now and it won’t shut up. It tells me no more of the policies of President Bush and the Republican. It whispers to me in my sleep. It says it wants to grow and there is a part of me, the greedy money-grubbing part, that nods its head and tells the other parts to listen to the portfolio. I find it interesting because this advice runs against the common dialog. I’m curious, my great gaggle of readers. 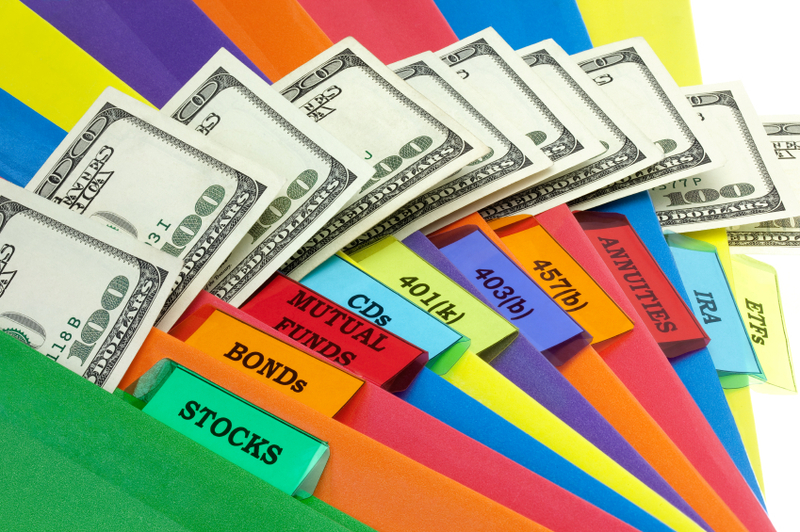 When you go into your study and have a quiet talk with your portfolio, what does it say? As I walked into my yoga class today the instructor asked me the following question: What’s the best thing that happened to you today? People have accused me of being too literal, of over-thinking, and of other general traits wherein I take something apparently simple and make it difficult. I’ll run through my thoughts about that question and then you let you decided if I do exhibit such traits. So, what did I think when asked that seemingly simple question? Today is the day I published my new website and that was pretty nice but the act of publishing was not a particularly great accomplishment. All the work I did in making it, building the pages, styling, creating the navigation, writing the content, and more led up to a relatively simple moment. 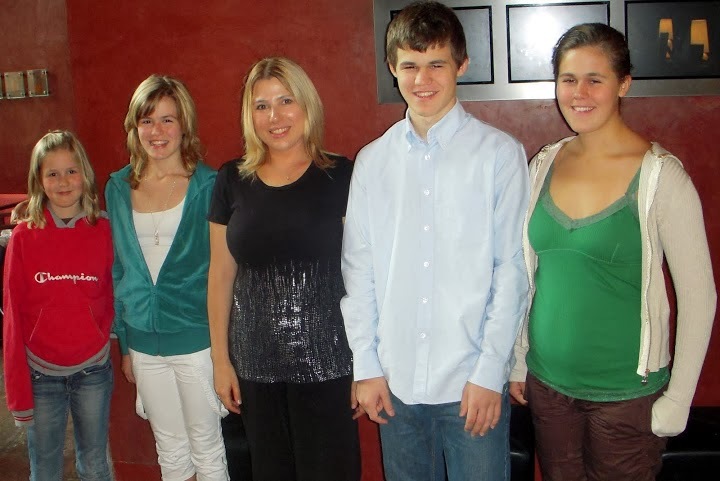 Once the site was published came the task of trying to figure what was wrong, with the help of Dave Mueller, and fixing it. Eventually most of the mistakes were ironed out but a few tasks need still be finished. So I asked myself, what was the best part of all of that, and was any of it better than the fact that on a snowy, blustery, bad driving sort of day I timed every light perfectly and barely slowed down all the way from my driveway to my favorite parking spot at work? So much happens to us in a day and most of it is good. The alarm goes off when it could have failed. The power stayed on overnight and everything was warm when I awoke despite the cold outside. Was this the “best” thing that happened to me all day? For if the power went out and I woke to a frozen house with bursting pipes,well certainly that would have been much worse than delaying my website for a day. Many people when asked about the best thing that ever happened to them will recall weddings, graduations, births of children, and things of this nature but none of them happened in isolation from the rest of life. You did not instantly marry your spouse but made a series of decisions, presumably good ones, that led to that moment. Is there in fact such a thing as a best thing in a day or a life? Each incident is part of the whole. How am I to rank them? In my drive to work which of the several green lights I arrived at in succession was the best? Were they all equal? Was the last the best? The first? I ran these thoughts by my yoga instructor who looked at me with wide eyes, I didn’t think I was asking that complicated a question, she said. Then I realized my answer. The question was the answer. For the question inspired me to think, and thinking is the thing I love the most. 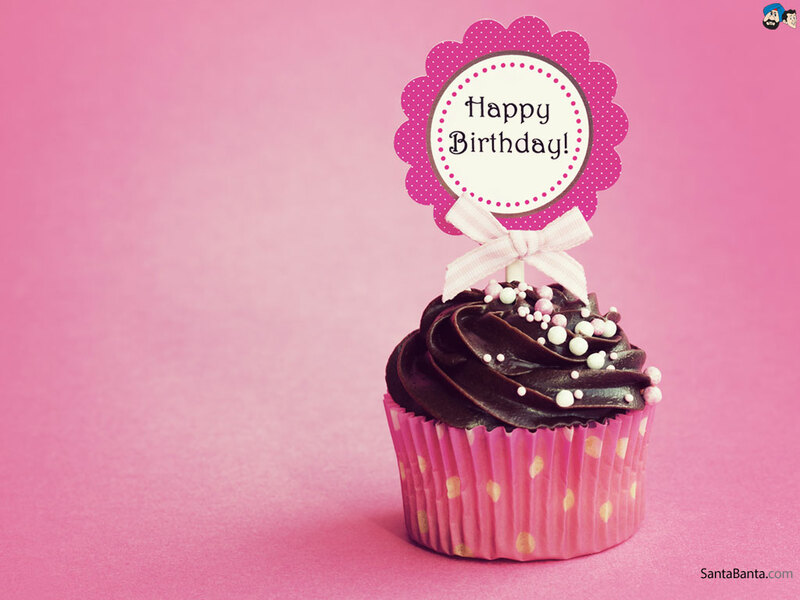 It also inspired me to write this blog and I truly enjoy writing this blog. Another major news story just came down the pipe and I can’t stop myself from writing a blog even though it’s past my bedtime (10:00 p.m.). Young Madison Root decided to set up shop in a Saturday Market in Portland, Oregon. 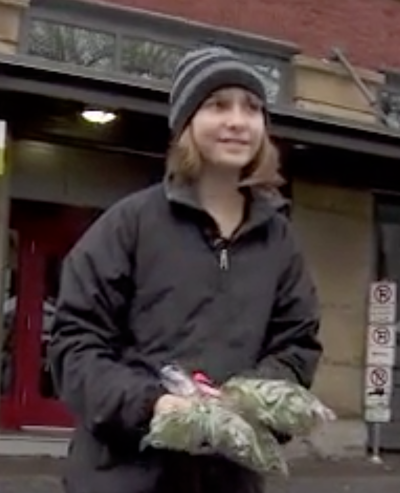 She was selling her hand-picked mistletoe in the hopes of getting enough money to pay for her braces. She was told to pack her entrepreneurial spirit up and go home, she had no permit. Judging by the comments I’m reading below the story most people think she was badly wronged. That she should be allowed to sell her wares in a public market. If beggars are allowed to beg why shouldn’t an adorable little eleven year old girl be allowed to sell her lovingly picked mistletoe? Well, call me Dr. Curmudgeon (I didn’t spend four years in Curmudgeon school to be called Mr. Curmudgeon) but I think the security guards at the market did absolutely the right thing. When the Girl Scouts setup their racketeering operation (you heard me right) at the local supermarket I’m quite confident they’ve done all the paperwork necessary to be there. The same for the Salvation Army and the Fire Department with their boots. I don’t like it, I don’t want to be disturbed and hit up for money when I’m tired and hungry but I put up with it because I know they’ve followed the rules. Do we want unlicensed stands at every corner? Do we want anarchy? Do we Madison!? Well, do we? I hate to be the bad guy (not really) but I don’t want an army of cute girls selling me bracelets, mistletoe, cookies, or anything else. If you need permission to set up shop in a market then go to the trouble of getting permission. Don’t just show up and go whining to the local television station about how unfair is life. There are reasons we need permits to hawk our wares in markets. Legitimate vendors who go to the trouble of getting permission to sell their goods should not have to deal with some Madison-come lately who steals their business. Call me what you will in the comments, I can take it! I just read a story that isn’t that big of a deal except that it happens to have taken place here in my beloved Show Me state of Missouri. A woman was offended by her state issued license plate. Take a look at the image and see if you can figure it out and then read on. 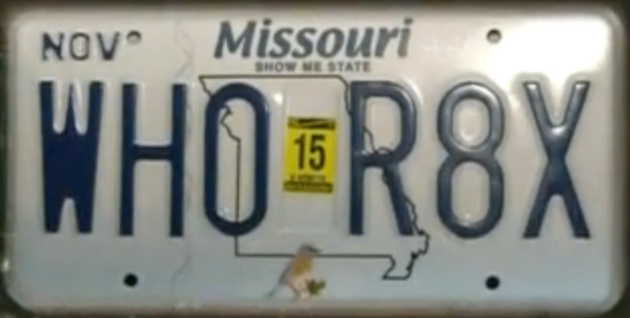 According to the offended Missourian it reads – Whore Eight Times. I thought it read Who Rate X? I’m on record as saying words have power and I will not deny that there are combinations of randomly generated letters and numbers that could and should cause offense. Not many people want a license plate that has truly offensive words on it. The state attempts to avoid this and even refuses to allow relatively innocuous license plates because they might be misconstrued. In this case the woman could have paid $17 to get a replacement plate but instead, over the principle of the matter, took it to the local news station. The bad publicity eventually got the state to waive the fee and issue a new plate. The woman claims that people were yelling offensive terms at her when they saw the plate and therefore it was up to the state to replace it. Again, I don’t think this is that big a deal but why should I have to pay for the cost of replacement over something that isn’t blatantly offensive? Someone’s $17 in taxes for the state of Missouri went to cover that replacement. In addition I’d like to address people who make fun of other people over a license plate. It’s like when you’re a kid and someone makes fun of your name. It’s a state issued license plate. It’s the name you have. When I was ten years old a fellow who happened to have the name Lipschitz provided short-lived amusement. By the time I got to High School it was pretty clear to me and everyone I knew that making fun of a person’s name was juvenile. So what can we take from all this? People who make fun of random letters on a license plate aren’t worth worrying about. People who tease you because of your name aren’t worth thinking about. They’ve got their own problems. In addition, people who worry about non-offensive things in their life have bigger problems. There was a recent spat on the Jon Stewart show about what sort of pizza style is the best. Stewart is in the midst of an erudite debate with Chicago Mayor Rahm Emanuel in which the highest levels of oratory and rhetoric are on display in their quest to determine which style of pizza is the best. I do not suggest that I am at the same level of popularity as Stewart and Emanuel but I do have an opinion on pizza and I suspect that some of my loyal following might as well. 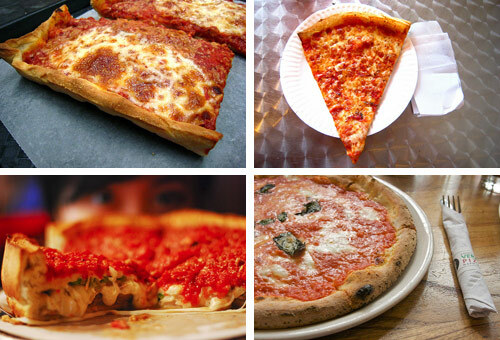 Now, there is much debate between the two great cities about the merits for and against the Deep Dish style for which Chicago is famous and the more traditional New York Style. Being from St. Louis I thought it might be fitting for me to at least introduce St. Louis style into the debate. To discuss the merits of the super-thin crust pizza that is a favorite here in my home town before moving on to the debate between the more well-known Chicago and New York styles. With that in mind I think I can sum up St. Louis style in a single word. That word being abomination. Thus unburdened I can now, in good conscience, move on to the more pressing matter of the debate between New York and Chicago. We have a pizza place here in St. Louis that specializes in deep dish, Chicago Style, pizza. It is called Pi. It’s a fancy pizza to be certain. It’s popular, this is true. People flock to the restaurant and praise the pizza with all their heart. I can distill my opinion into a few words. Better than St. Louis style … barely. But for pizza? For real pizza? For tasty pizza? New York style is the only answer. Now, a short trip down memory lane as I remember some of the best New York style pizza I’ve ever eaten. In the Loop there was a place called Racanelli’s. It was owned and operated by a Yankees fan with a broad, and I mean thick, New York accent. They had a spinach slice that brought tears to my eyes. I used to ride my bike down to Forest Park, around a time or two, and then on my return trip home stop by to get a slice. I had dreams about those slices. The owner had no problem with St. Louis Cardinals fans but I would suggest not wearing a New York Mets cap in his presence. Sadly, they were bought out and went straight down hill. Sigh. I flitted hither and yon for a few years trying Joanie’s Pizzeria, Sunflower’s, Dewey’s, and the not bad at all Whole Foods Pizza Pie but I did not find a good slice until wandering into a neighborhood joint, La Pizza, a few years back. It’s a shack, this much is true, but the slice is good. Now, if Mr. Stewart wanted to invite me out to New York and show me a place or two he thinks might have a better slice, well, I would be willing to stray. I’ll wait by the phone. Now, my loyal fans. I put the question to you. What’s your favorite slice? New York, Chicago, or the Lou! I’m not exactly certain how I missed this earth shattering story but apparently a segment of the Chinese-American community is incensed about what a kid said during a Jimmy Kimmel show. Kimmel has a Kids’ Table segment where he asks young children questions about serious issues the nation and world face. In this case he asked what the country should do about the $1.3 trillion we owe to China. One young fellow decided that killing all the Chinese was a reasonable solution. Kimmel tried to suggest that perhaps this wasn’t the best idea but quickly moved on to other suggestions. One young girl argued rather persuasively that if we tried to kill all the Chinese they would try to kill us back and that might not be good. The boy countered with the idea that the Chinese would all be dead by that time so we had nothing to fear. In other words, children lobbing childish ideas. It was all rather humorous, if a bit dark. 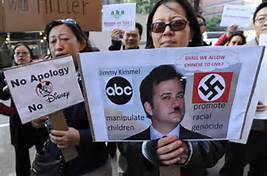 In the ensuing outrage Kimmel offered an apology for offending anyone of Asian or Chinese heritage. He expressed the idea that the show merely meant to entertain. That they don’t control or condone what the children say. This apology apparently did not go over well with as many as 1,500 people protesting outside the ABC studio where his show is produced. Jimmy is accused of teaching kids hatred, promoting genocide, and being a general Hitler like figure in the world. A petition to fire Kimmel was posted on the White House website and has generated a significant number of signatures. I suppose the idea is that Kimmel should have stopped the segment and gotten into a serious discussion about how genocide against the largest population on earth was not a good idea. He laughed, he told them it was a bad idea, they’re kids. End of story. A large part of me wants to think the entire protest is actually just an attempt at humor but apparently it is not. I don’t even know how to respond. Should I try logical arguments about how kids say silly things they don’t mean all the time? That kids often say illogical and ridiculous things. Should I point out that Kimmel laughed it off and tried to explain why the idea was bad? Should I tell people being overly sensitive does their various causes no good? Should I try to write a dissertation about humor? I will make one suggestion and I’ve made it before. I’m of Jewish heritage and history is my favorite subject. I know a thing or two about Hitler and the Nazi party. How in the early 1930’s young German women were paraded around town tied to polls and physically assaulted because they refused to call off engagements to young German Jews. How citizens were beaten and even killed for not giving the Hitler salute during parades. How they rounded up disabled children telling parents the children were being taken to schools where they would be treated with the latest medicine, and then killed them. My advice, don’t compare Jimmy Kimmel to a Nazi, to Hitler. You don’t win me over. I recently became aware of a Hulu show called Dan Vs. and have been rapidly making my way through the episodes. Today I happened upon the Dan Vs. The Lemonade Stand Gang and it reminded me of an incident that happened last summer. I live in a neighborhood that is within walking distance of several grocery stores, my gym, a large number of nice restaurants, and a little park. On weekends I often walk to the grocery store or a restaurant for lunch and it was on one of these occasions that I was beset by the Lemonade Stand. On my way into Clayton I pass a church. While on the trip I noted a pair of young boys with a lemonade stand setup on the church lawn. Now I’m an atheist, it’s true, but I’m also a supporter of the entrepreneurial spirit and headed over to the stand with a smile on my face. I plunked my dollar down and watched in horror as the boys pulled out, from its strategically hidden spot under the table, a two-liter jug of Country Time Lemonade. I have nothing against Country Time. I admit that I’m not a fan of the two-liter jug but mostly because I don’t drink soda. Next they half-filled a tiny plastic cup with the lemonade and handed it to me. No ice. I walked right by them on the way back. It’s not an important incident in my life. The dollar lost on a warm lemonade is not going to change my lifestyle but the moment sticks with me. Every time I see kids at a lemonade stand I think about that incident. I haven’t purchased lemonade from a stand since that day. I’m not sure I’ll ever purchase from a stand again. Maybe that’s my fault. Maybe I shouldn’t judge all children and all lemonade stands by the one instance, but I do. Let’s not fool ourselves, that lemonade stand could well become a multinational corporation based on their business practices. They might fund the local Alderman campaign and have all the other lemonade stands ruled illegal. They might have the legislature pass a law ostensibly for public safety saying we must all purchase lemonade three times a day. They could be watching me right now! Reading these words with some sort of lemonade spy device. They might send the police to come and arrest me! Soon we will all be forced by to drink government mandated lemonade from the owners of that stand! On the other hand, their parents could tell them what they were doing was wrong. They could raise kids that understand the difference between ripping people off and making money by providing a good product at a fair price. I might be overreacting a tiny little bit here but I do think it’s symptomatic of our society and a business model based primarily on growth. And, gosh darn it, I’m still mad about that warm, half-filled, cynical cup of lemonade. I want my dollar back! What would you do if you found out your children were involved in that sort of a lemonade stand operation? There’s a not so interesting story in the news today that brings up a much more interesting question about dress-codes. Basically, a private pilot for the CEO of Abercrombie & Fitch claims he was fired in an age-discrimination case. That’s the boring part, not that the pilot shouldn’t have his day in court. What’s interesting is the behavior and dress-code stipulated by Abercrombie CEO Michael Jeffries for flight attendants is 40-pages long and states what sort of underwear that male attendants could wear, boxer-briefs only. It’s an interesting question for me because I have no problem with dress-codes or even behavior codes for employees. If you work for a company then they should be allowed to decide how you appear as a representative of that business. When I contracted at Anheuser-Busch they strongly recommended having a beer with your dinner when out with clients and that beer should be company product. At Hooters or Fridays or just about any service industry there are uniform requirements. Many places even require that tattoos be covered. But, underwear? This is something that should never been seen by anyone at work. I think I’d be a little put off if my company told me what sort of underwear I could wear. I completely understand the argument that if I don’t want to wear that particular sort of underwear I shouldn’t take the job. But, what if they told me I had to wear contact lenses instead of glasses? Or I had to dye my hair blonde? Is there a limit to what an employer can demand as far as personal appearance? Particularly if said requirement is not visible? It’s not even what’s at question in the lawsuit so I’m not sure there is a point to my thoughts today. I’m just sort of curious what people think.